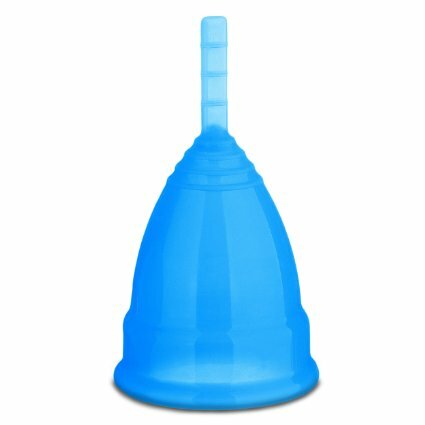 The Continuon Cup is an economical alternative to other menstrual cups. All menstrual cups will save you money over time by reducing the need to buy pads and tampons, but the Continuon Cup will save you money even compared to other brand named menstrual cups. It comes in two sizes (small and large) and is made of FDA grade silicone similar to many other menstrual cups. It has a seamless design with ridges at the bottom of the cup and on the stem (which is thinner than its competitors). Because it is softer and more flexible than most cups, some women report that it has trouble staying in place. (Though that may also mean that it is easier to insert or more comfortable to wear). Because of its price, the Continuon cup may be a more accessible way to see if menstrual cups are for you.